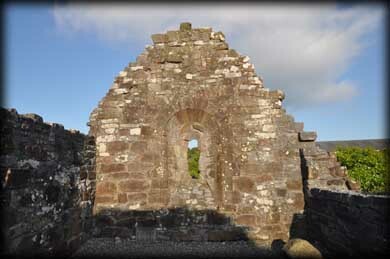 It is believed that a rath or embanked enclosure may have existed here before any church was founded. The name Ratass comes from Rath Mhaighe Deiseirt, meaning "Fort of the Southern Plain". Some time in the 10th century a small church was built on this site. Most of the west gable, including the wonderful sandstone doorway, plus the lower part of the north and south walls of the present nave belong to the earlier church. The chancel was added at a later date. 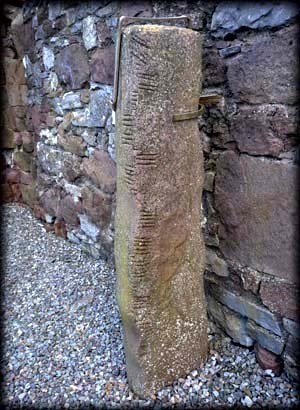 Standing against the north wall of the nave is a 1.45 metre high ogham stone. It was discovered in 1975 during a clean up of the church. It had been built into the sides of a 19th century burial vault. 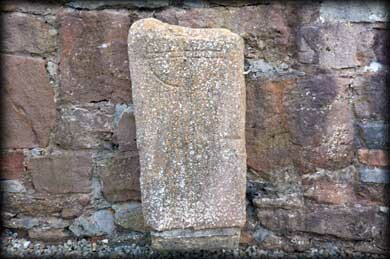 The ogham inscription reads, [A]NM SILLANN MAQ FATTILLOGG. On the west face of the stone is an inverted cross. 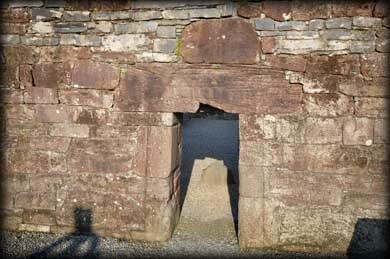 A small cross slab is standing against the same wall to the east of the ogham stone. The church is located inside Tralee (Ratass) cemetery. N21. Situated: The church is located on the eastern side of Tralee (Ratass) cemetery. The entrance is to the north on the Ballinorig Road. Discovery Map 71: Q 8519 1413. Last visit May 2013.